Lot 627 Hong Kong #154S-168S, J6S/J10S, 1938 1c to $10 KGVI Original Set with Curved SPECIMEN Perforation, with thirteen values, mint never hinged and fresh, mostly very fine centered. The $10 has trivial and light toning on its gum. 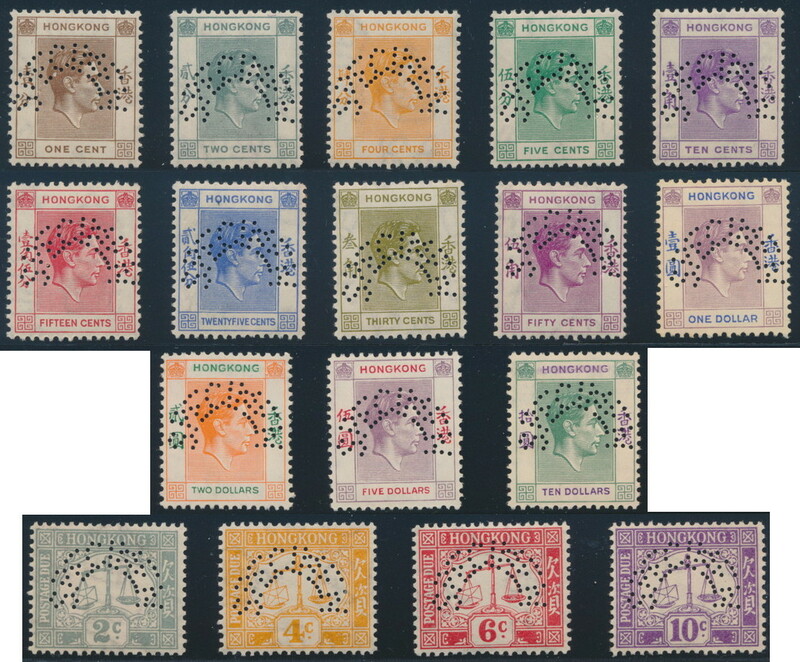 The S.G. catalogue value given is for the full set of 23 (which includes three newer values and many colour changes). 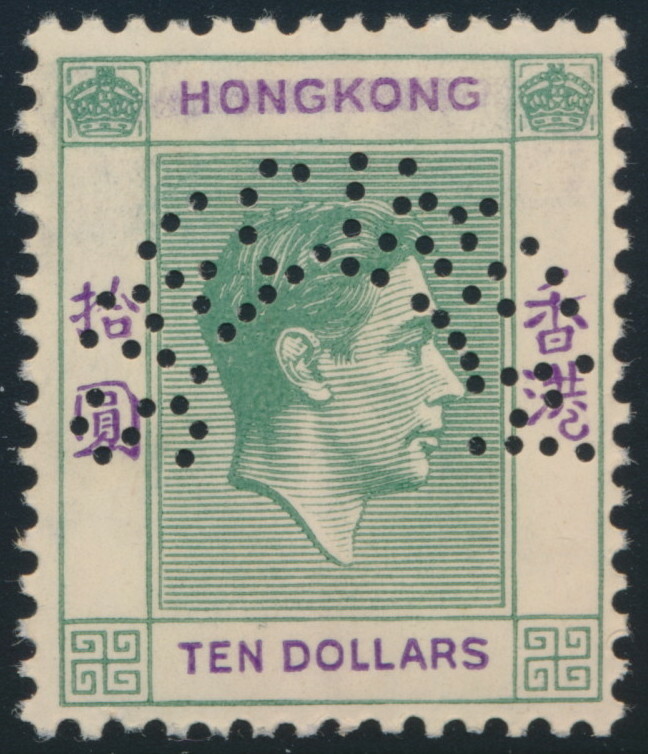 As regular stamps, these represent about 55% of the value. 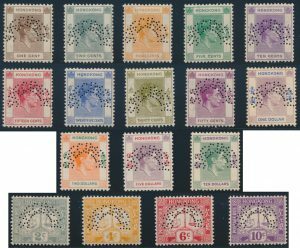 Also includes four postage due values, which represent about 40% of the S.G. value of £475 for a full set of seven (these not included in the S.G. value given to this lot). S.G. CV £2,750.